One of the absolute highlights of this year was going to Paris Fashion Week in the fall, and one of the most prominent trends was the graphic tee. From superheros to Mickey Mouse, Backstreet Boys to Balenciaga Space Skylines the fashion elite could not get enough, and neither could the photographers. With people pairing Star Wars tees with pencil skirts, sports jerseys or t-shirts with snarling dogs with ladylike heels, the fun factor was upped exponentially. A great graphic tee, especially one that is a little out of place makes for a fabulous photo. 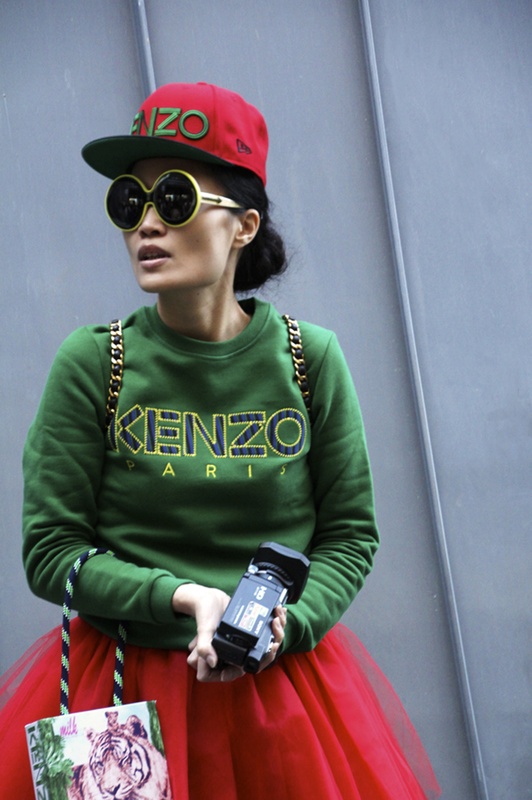 No brand filled the streets of Paris, New York, London, and Milan more than Kenzo. 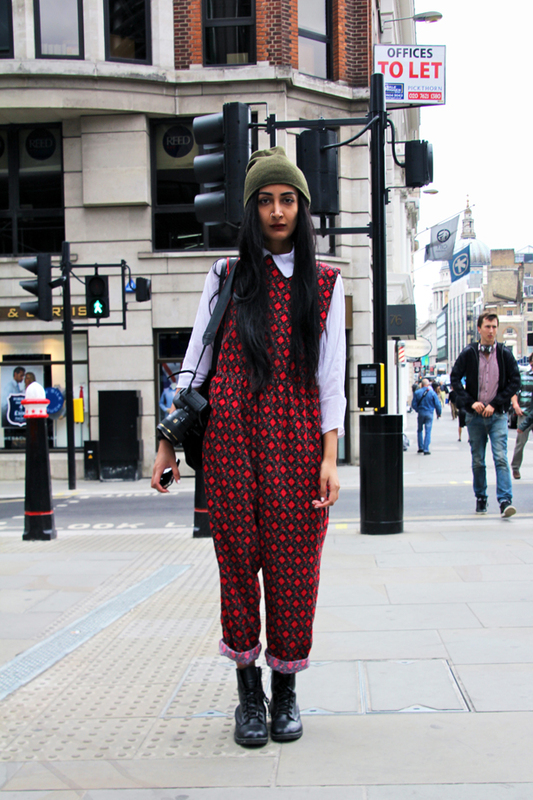 These pieces popped up even more often than the aforementioned Givenchy or Balenciaga tops. 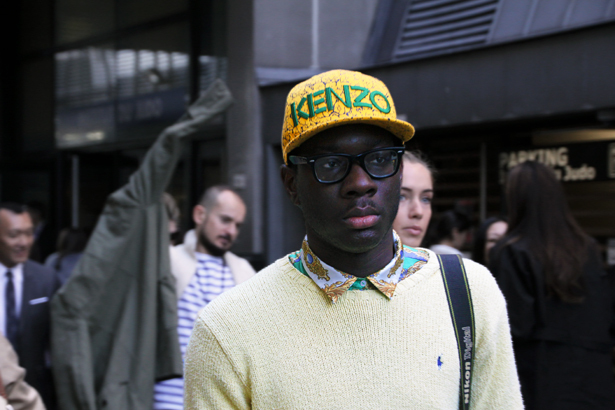 And really, good for Kenzo for making items that sell like hot cakes to people who will be photographed. 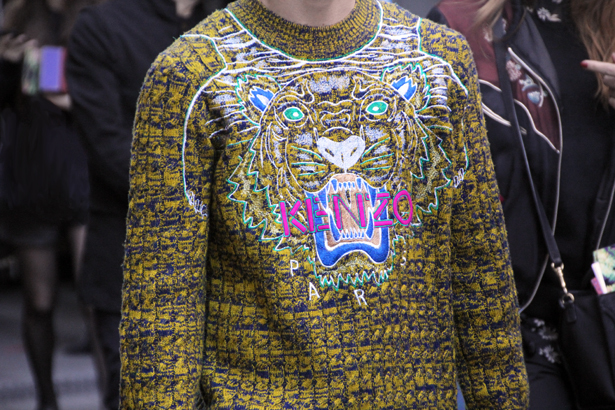 (Or, good for Kenzo’s PR department for sending all those people their emblazoned items) In making a product cool enough for the coolest fashion elite, and in by branding the hell out of themselves, Kenzo has increased their awareness ten fold. The amount of attention paid to this brand has gone through the roof, and with good reason; designers and co-counders of Opening Ceremony Carol Lim and Humbeto Leon have totally revamped this company. 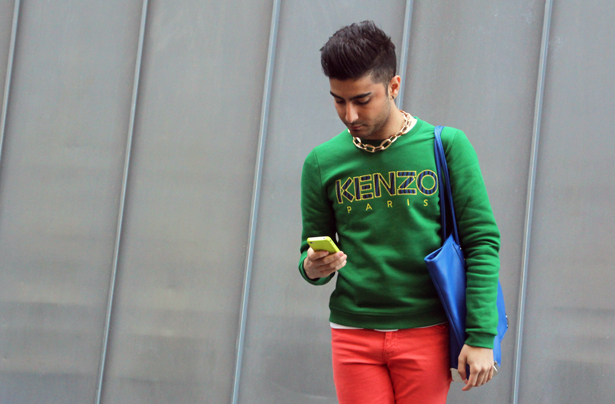 I can’t wait to see what Kenzo and their loyal Street Style followers have in store for us next.